You must be 21 years of age to purchase this item. UMC® Handgun Ammo: Great reliability at an affordable price. 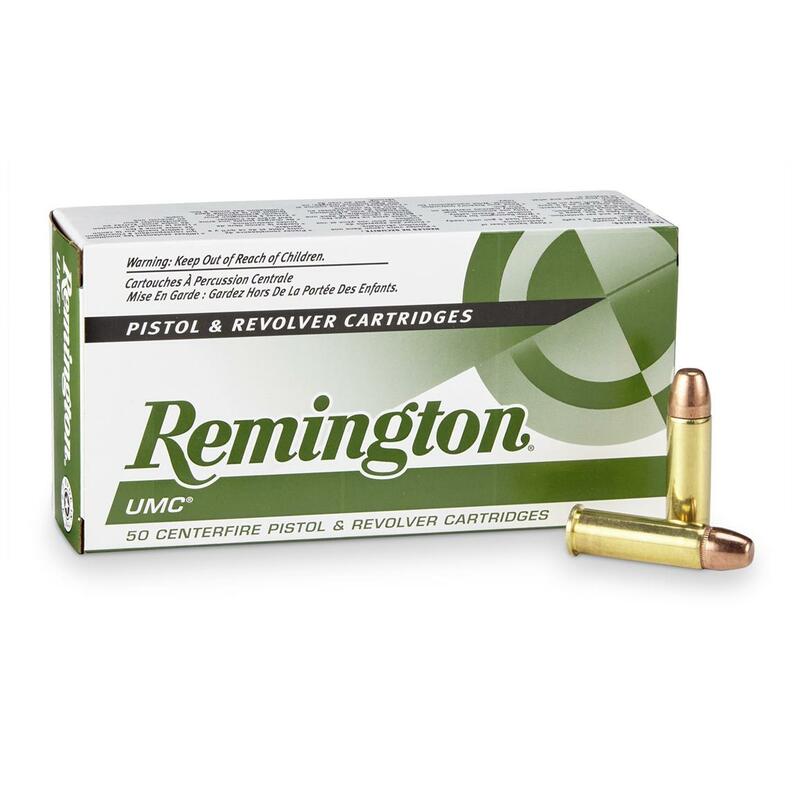 Remington, UMC, .38 Special, MC, 130 Grain, 500 Rounds is rated 5.0 out of 5 by 4. Rated 5 out of 5 by BUTCH78 from GREAT PRICE GREAT PRICE, DELIVERED IN A REASONABLE AMOUNT OF TIME AND ARRIVING IN EXCELLENT CONDITION. Rated 5 out of 5 by Chilly1 from Great Practice Ammo Picked up a 1970 Combat Masterpiece recently and purchased this to try it out. Have not fire one of these since I was in the USAF. WOW is all I can say, accuracy was incredible. Ammo worked as advertised, consistent from shot to shot. 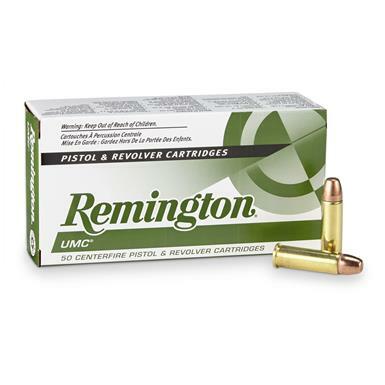 Rated 5 out of 5 by DANIEL from Good ammo, great price, no waiting..Excellent! Keep your gun firing at the range. Great range ammo at a great price.